18 Aug Is there ever a time when I can’t legally end the life of my unborn child? 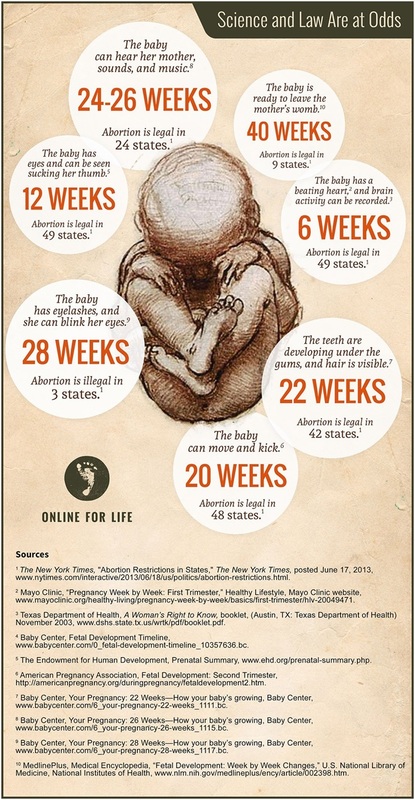 There are nine states in the U.S. where it is legal to end the life of an unborn child up until the moment of birth. Most people in the U.S. assume that abortion is available to women only under limited circumstances and time frames. But this info-graphic, created by “On-line for Life,” reveals a very different story. Is life really valued and protected? You decide.